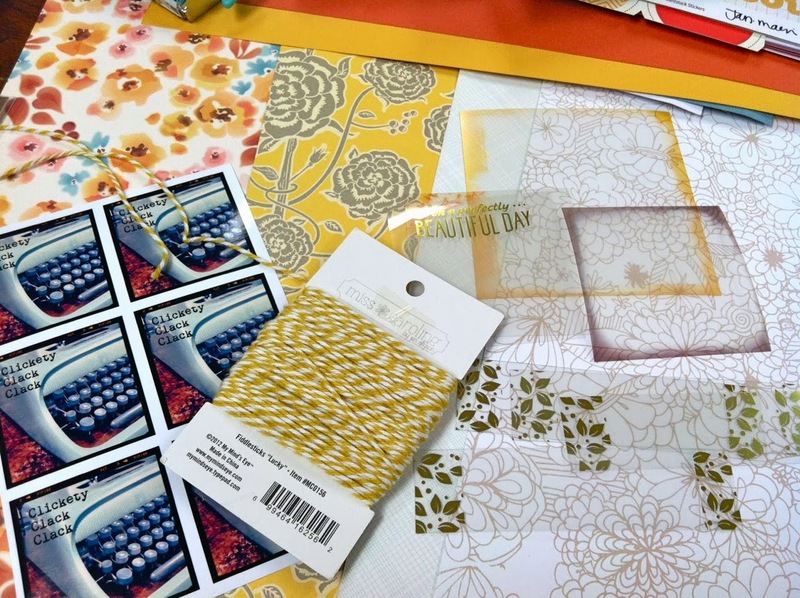 I saved a few of my favorite patterned papers from the January Gossamer Blue kits for some card making. 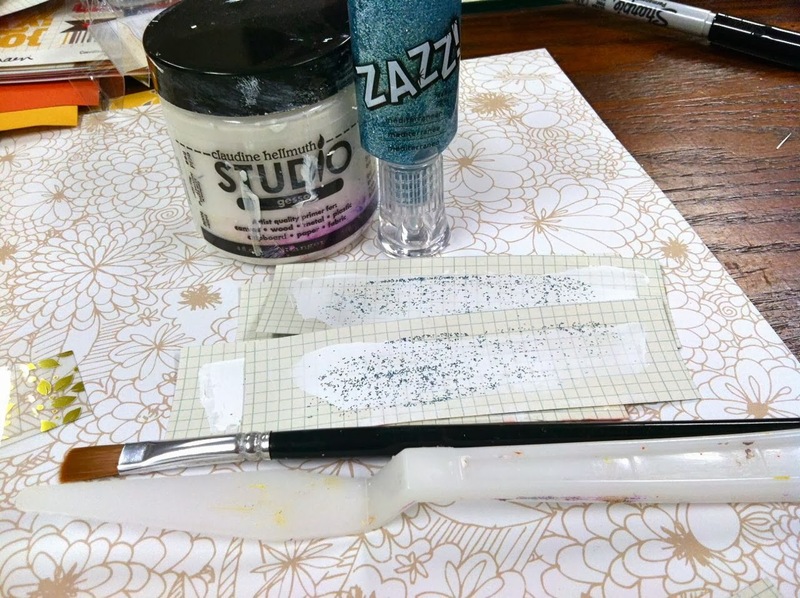 I also used the fun glitter glue from the kits along with a trimmed up photo overlay that has gold foil leaves from the kits. Here's the first set of cards I created. 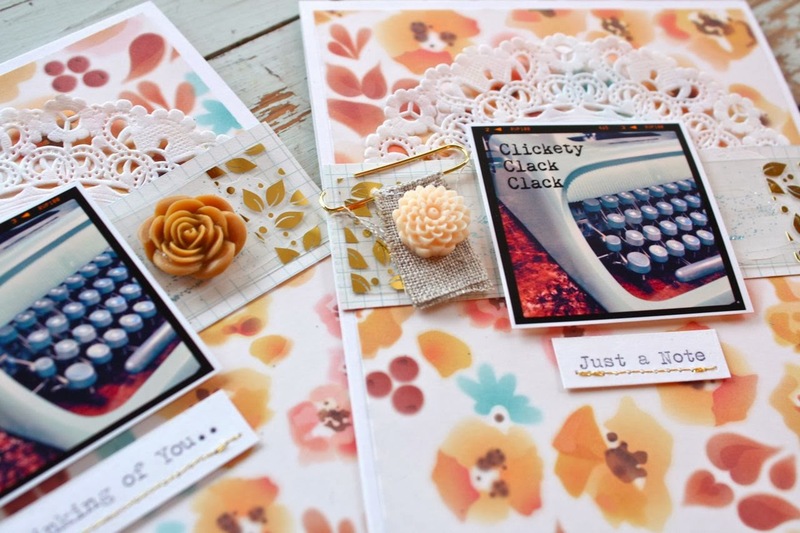 I also used Dainty Doilies, Typewriter Mini Instagrams, resin flowers and a fabric paperclip from this kit. I typed the sentiments for all the cards and stitched with gold thread. 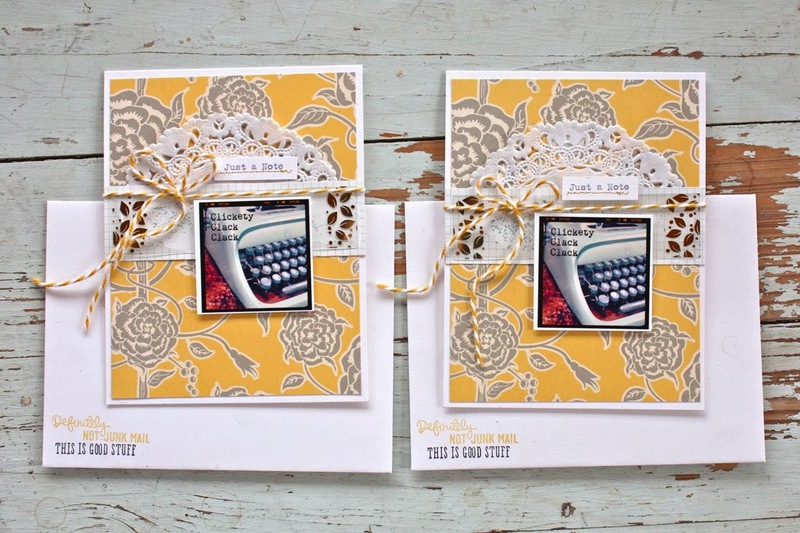 A second set of cards using this beautiful yellow paper with coordinating envelopes. 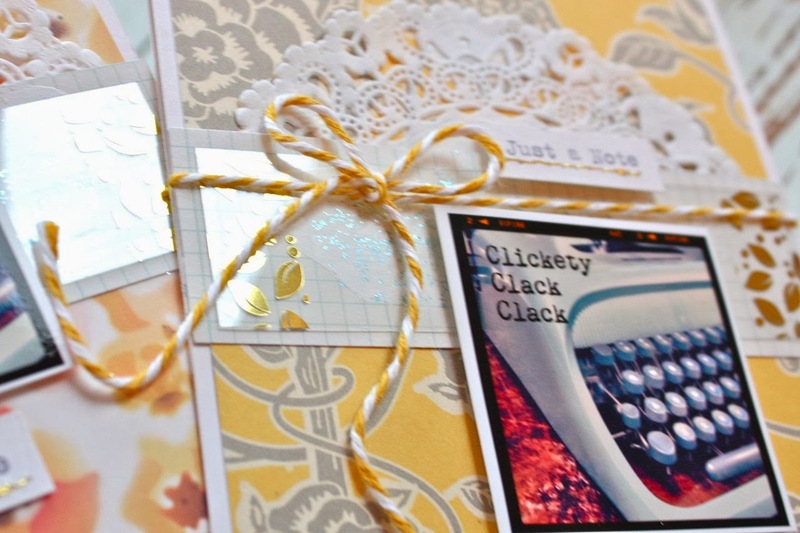 I added gold baker's twine on these cards along with the pieces of the clear overlay pieces I trimmed to 1" x 4" pieces from a 4" x 4" piece. Here's some of those beautiful overlays. I just love the gold foil on this set. For a little creative experimentation, I painted Gesso medium onto some grid paper strips of cardstock. I let that dry then painted on the of the blue Zazz glitter glue. 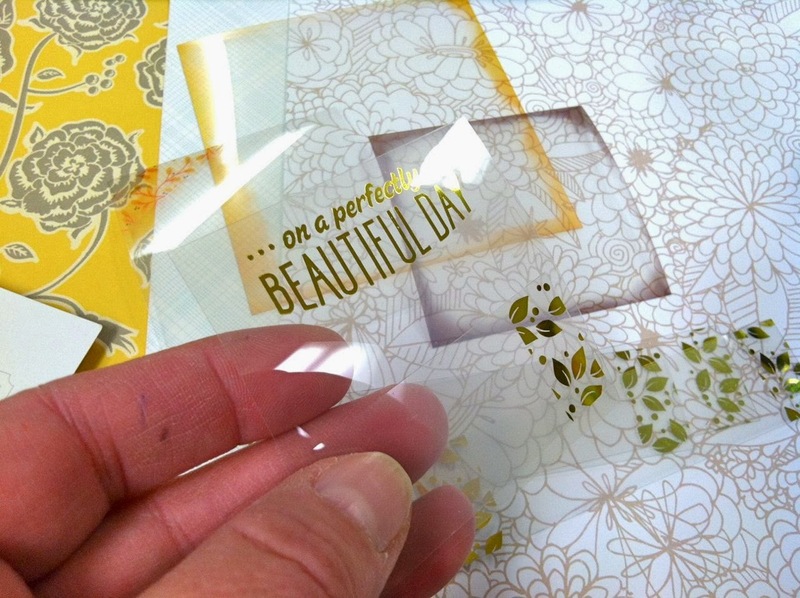 I placed the clear acetate with gold foil leaves on top of the glittered strips of cardstock for a beautiful, shimmery effect. 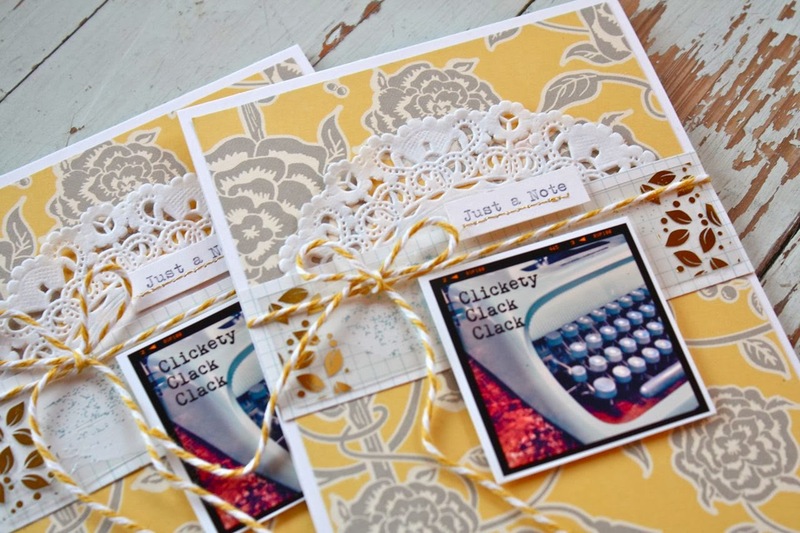 I used a Simon Says stamp set (all the yellow stamps) for the envelopes. 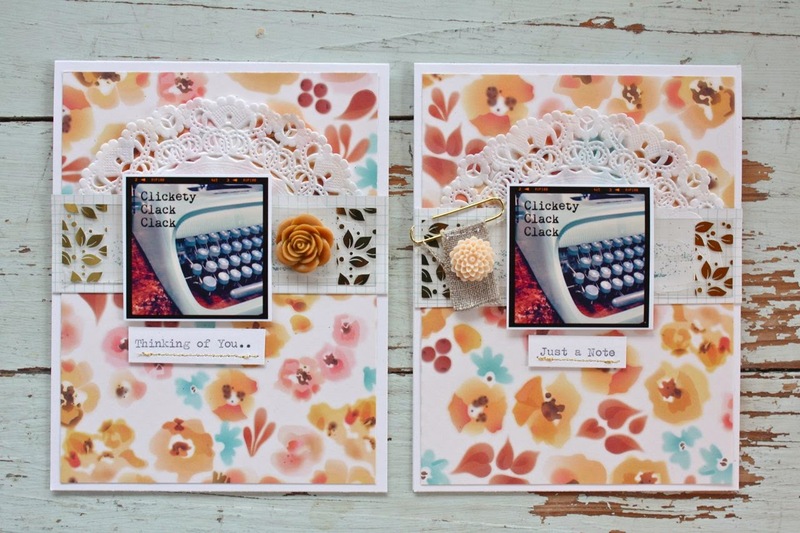 I paired the sentiments with the black stamped image from the October Afternoon phrase stamp from the Gossamer Blue January kits. 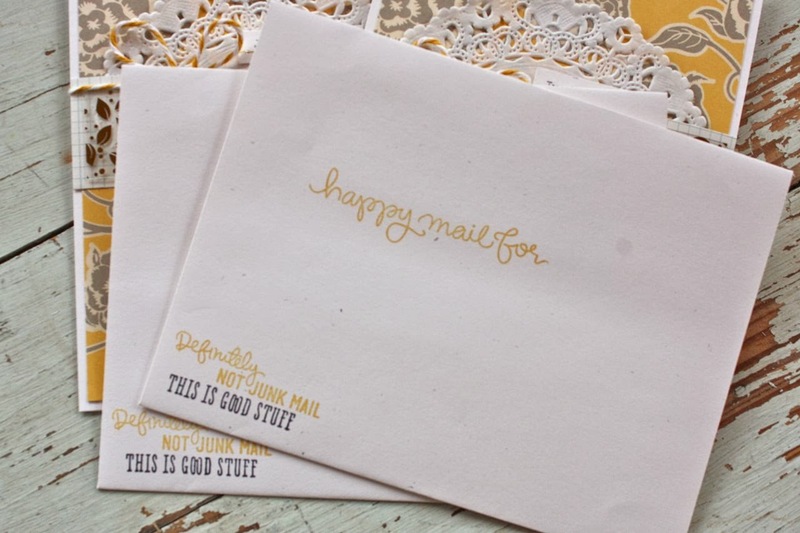 Who doesn't love a cute, stamped envelope....especially when it's addressed to them? So, so very creative as usual...thanks for sharing your amazing gift with us.. Which Simon Says stamp set did you use of the envelopes...Adorable!!! 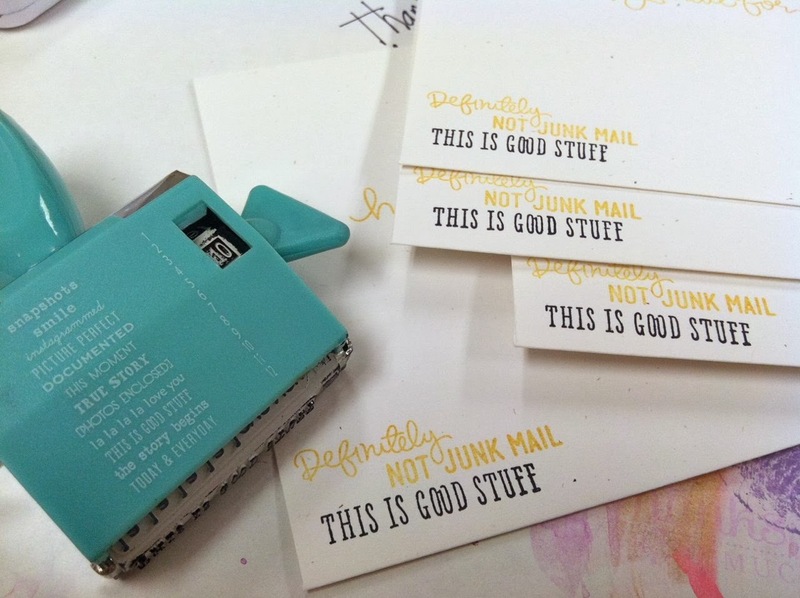 Where did you find the stamps that has the sentiments on the envelope? Also, where do you print your little photos? Thanks. I love it all! Wanting to know the name of the stamp set you used...just adorable. Can you respond to my earlier questions? Thanks so much!